CLICK HERE for a full event photo gallery, courtsey of Reau Design Studio! 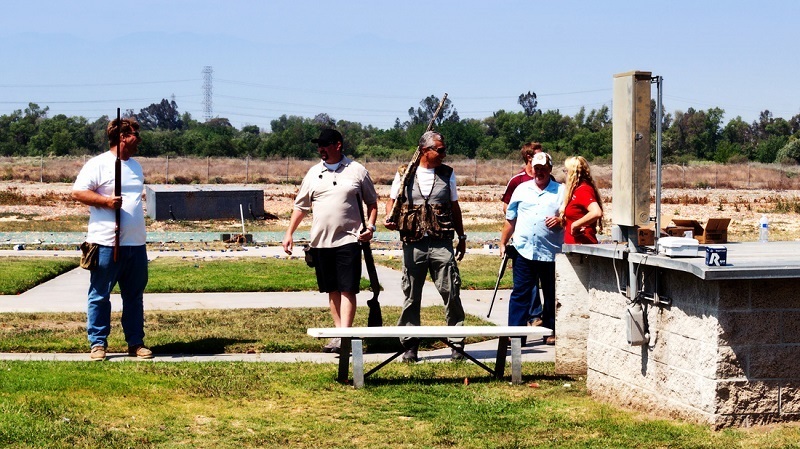 The 9th Annual HomeAid Inland Empire Trap Shoot and Builder Chili Cook-Off fundraiser event, held recently at Prado Olympic Shooting Park in Chino, raised nearly $25,000 to help renovate and build homeless shelters in Riverside and San Bernardino counties. Riverside County Sheriff Stan Sniff was again the Honorary Chairman for the Trap Shoot this year, with HomeAid Inland Empire Board and Executive Committee members Satti Brown of KB Home and Michelle Estelle of Guild Mortgage serving as co-chairs. HomeAid Inland Empire, the non-profit charity of the Southern California Building Industry Association (BIA) Riverside County and Baldy View Chapters, works with various homeless service provider partners to create shelter facilities that temporarily house individuals and families who need a place to stay while they try to rebuild their lives. 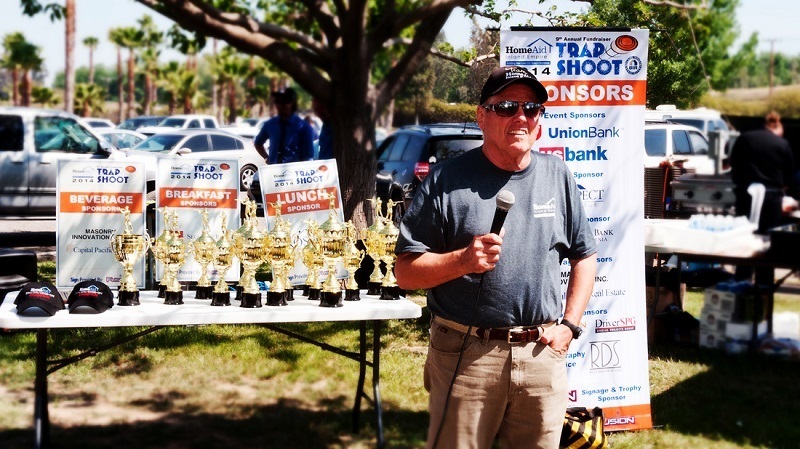 “For nearly a decade now, our annual Trap Shoot fundraiser has been a great opportunity for our outstanding building industry and corporate partners to make a significant financial commitment to help HomeAid address the problem of homelessness throughout the Inland Empire,” said Ray Osborne, Executive Director of the Riverside-based non-profit organization. “This year’s fundraising event was our most successful to date, and provides us with much-needed funding for our on-going shelter development program,” he added. US Bank and Union Bank were the primary sponsors for this year’s Trap Shoot event. Prospect Mortgage was the Lunch Sponsor. Petersen Dean Roofing & Solar and Driver SPG were the Photo Sponsors. Security Bank of California and KB Home were the Breakfast Sponsors. Capital Pacific Homes and Masonry Innovations were the Beverage Sponsors. In addition, Fusion Sign & Design provided all of the signage. Other Trap Shoot sponsors included: California Apartment Association of Greater Inland Empire (AAGIE), Standard Pacific Homes, iMortgage, Richmond American Homes, Fidelity National Title, Lennar Inland/LA Division, 123 Home Keys/All Southern California Escrow, Stearns Lending, Glazing Concepts, G.C. Acoustics, Hy-Tech Tile, Hardy Frame, Guild Mortgage, Clark Pacific, K&S Entertainment, Mark Knorringa, and Developers Edge. The fivesome shooting team that included Sheriff Sniff and Riverside County BIA CEO Bill Blankenship and BIA Director of Government Affairs Nathan Miller, won the Class A team championship, the iMortgage team won the Class B title and the Gothic Landscape team won Class C. Bill Blankenship won the overall top shooter award with a score of 46 out of a possible 50. 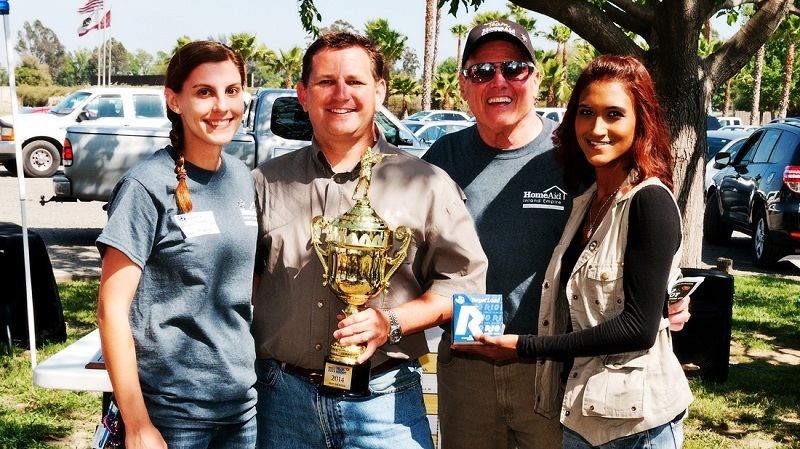 Adding to the fun and festivities at the Trap Shoot event was the Builder Chili Cook-Off competition, involving several of the top homebuilding companies in the Inland Empire. Richmond American Homes was the winner of this year’s event. Many of HomeAid Inland Empire’s service provider partners, including Olive Crest, Operation SafeHouse, Path of Life Ministries, Lutheran Social Services (LSS), Foothill Family Shelter, Operation Grace and the Family Assistance Program had information tables at the Trap Shoot to give attendees an opportunity to learn more about what is being done to end homelessness in Riverside and San Bernardino counties. Since 1990, HomeAid Inland Empire has completed 29 homeless shelter facilities in Riverside and San Bernardino counties housing 787 beds valued at more than $17.1 million, with the Inland Empire homebuilding industry providing over $6.5 million in in-kind donations of funding, labor and materials. These facilities serve more than 2,500 homeless men, women and children annually in the two-county area. For more information about the work being done by HomeAid Inland Empire, contact Executive Director Ray Osborne, ray@homeaidie.org, or visit the organization’s website at homeaidie.org to volunteer or make a donation.